We’re now less than 10 days until the big guy in red arrives to exchange presents for cookies. Which means the mall parking lots are probably in full blown Nascar mode with people driving like absolute maniacs to fight over the few available parking spaces. I’m here to help you survive the final few days of shopping. Whenever I am looking for that perfect final gift for someone, I always turn to cookbooks. Everyone’s gotta eat right? And if you’re friends with me (or related to me) then I know you LOVE food. 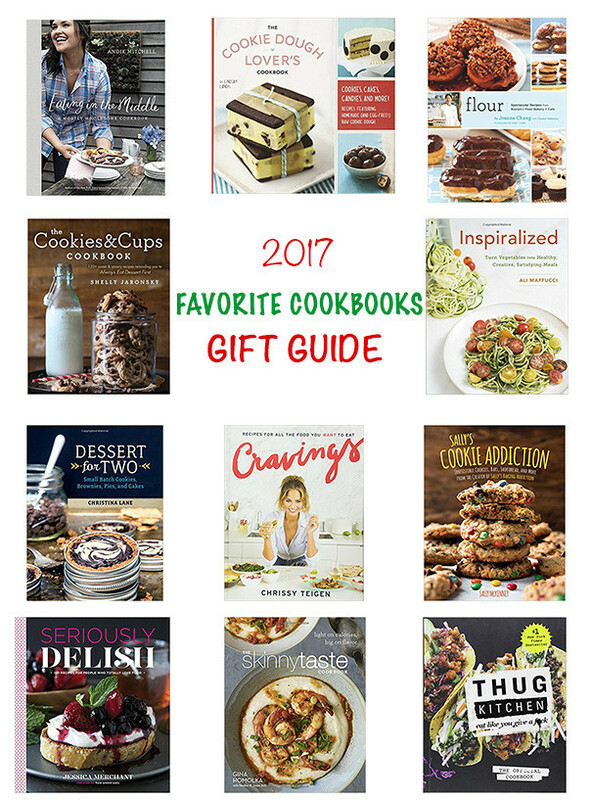 So I’m sharing some of my favorite cookbooks in this gift guide to help you finish up your holiday shopping as stress-free as possible. Cookbooks are truly the gift that keeps on giving with every new recipe that is cooked or baked from them. 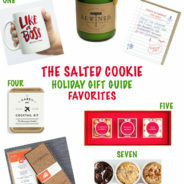 I have quite a collection of cookbooks on my bakers rack, including every single one from this gift guide. While I obviously still peruse the interwebs when I am in need of a recipe, when I have more time I always love to thumb through the pages of my favorite cookbooks for inspiration. So without further adieu, here are eleven of my favorite cookbooks that make delicious gifts. (1) Eating in the Middle – A Mostly Wholesome Cookbook – This is the book you give someone who enjoys healthy cooking, but appreciates a good slice of cake too. I discovered the author Andie Mitchell when I read her memoir It Was Me All Along, which is a really inspirational read, and then had the pleasure of meeting her when she was a keynote speaker at a food blogger conference a few years ago. Her cookbook shares a lot of her recipes that helped her reach her weight loss goals, while still eating satisfying flavorful food. My favorite recipe is her smashed garlic roasted potatoes, SO good. (2) The Cookie Dough Lover’s Cookbook – Now you can have your cookie dough and eat it too! 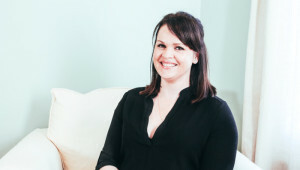 Lindsay is the food blogger mastermind behind the delicious blog Love and Olive Oil – and she’s the creative genius who redesigned my blog two years ago. Beyond that, she wrote this entire cookbook on creative ways to use her recipe for eggless edible cookie dough. I’ve been gifting this for several years, and it’s always a favorite. 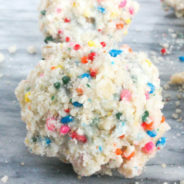 The Chocolate Chip Cookie Dough Truffle recipe is worth the price of the book alone. 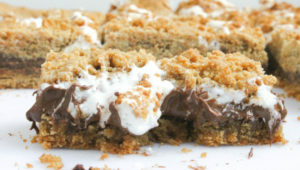 Her recipes are really quick and many of them no-bake, which makes them really kid-friendly too! (3) Flour: Spectacular Recipes from Boston’s Flour Bakery + Cafe – If you have not been to Flour Bakery in Boston than you truly have not lived. Joanne Chang has created something truly special with Flour Bakery, and my life was changed for the better once I experienced the Flour Bakery cinnamon roll and homemade Oreo cookie, both recipes which are included in this book. Joanne Chang is also a former business consultant turned bakery lady boss, so obviously is my lifelong spirit animal and idol. She has a few other delicious cookbooks including Flour, Too and Baking with Less Sugar. 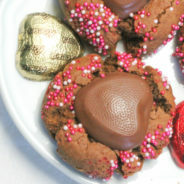 (4) Cookies and Cups Cookbook – This is a great gift for the new or experienced baker. Fellow food blogger Shelly of Cookies and Cups packs 125 delicious recipes into this book, which is perfect for anyone who lives her motto of Always Eat Dessert First. My favorite life-changing recipe from her book is the Salted Browned Butter Chocolate Chip Cookies. Once you go browned butter, you never go back! (5) Inspiralized: Turn Vegetables into Healthy, Creative, Satisfying Meals – Balance is the key to everything. So once you finish baking all those cookies from the previous cookbook recos, your body will thank you if you put some spiralized veggies in it. I am an avid follower and fan of Ali from Inspiralized and love how creative she is with creating new and delicious recipes with spiralized veggies. Her recipes for Bikini Bolognese and Spinach Zucchini Noodle Lasagna are two of my favorites that I make often. She has also chronicled her weight loss journey via spiralizing as a healthy way to lose weight and keep it off. I also love gifting this for newlyweds at bridal showers with the Inspiralizer. She released her second book Inspiralize Everything last year and I’ve been excitedly stalking her instagram watching her shoot recipes for her upcoming third cookbook. (6) Dessert for Two – This is my go-to cookbook to gift at bridal showers + weddings, especially when I pair it with a number of baking items off a wedding registry. 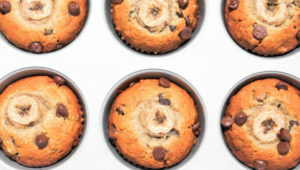 Christina from Dessert for Two makes small-scale versions of your favorite desserts by baking things like cakes in ramekins, or pies in muffin tins. 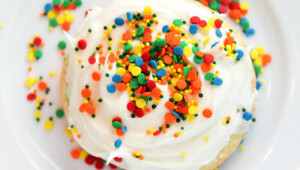 Her cookie recipes make less than a dozen so you can satisfy your sweet craving without overdoing it. I recently bought her other cookbook Sweet and Simple: Dessert for Two which has even more delicious recipes for two. (7) Cravings: Recipes for All the Food You Want to Eat – This is Chrissy Teigen’s delicious and hilarious cookbook that not only gives you tons of delicious recipes, but you’ll be laughing along the way. There are two recipes that go together like John Legend and Chrissy Teigen that you’ll have to make: John’s Fried Chicken Wings with Spicy Honey Butter and Cheesy Jalapeno Bacon Cornbread. Amazing. This is a celebrity cookbook that has recipes made with ingredients you’ll actually have in your kitchen. (8) Sally’s Cookie Addiction: Irresistible Cookies, Cookie Bars, Shortbread, and More – If you have not discovered Sally’s Baking Addiction, then your mind is about to be blown with more delicious cookie recipes than you could ever imagine. This is the latest in a series of amazing cookbooks that she has published including Sally’s Baking Addiction and Sally’s Candy Addiction. 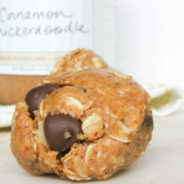 Her recipe for Cake Batter Chocolate Chip Cookies and Nutella Stuffed Cinnamon Sugar Muffins are two of my all-time favorite recipes from her. I’ve learned a lot of tips and tricks around baking, especially to get the perfect muffins, from her blog and books over the years and am continued to be amazed at how she’s still able to bake up new and creative recipes all the time. (9) Seriously Delish – If it’s possible to have a food blogger as a spirit animal, then mine would be Jessica from How Sweet It Is. She’s a self-taught cook and baker, who writes in a way that is both hilarious and super relatable. Her recipe for Chocolate Peanut Butter Lovers Brownie is probably the best brownie recipe ever created. I wish you could like an Instagram more than once because her cheeseboards are truly a thing of beauty. I’m not ashamed to admit how many screenshots of her Instagram pics I have saved on my phone. I am already so excited for her next book The Pretty Dish to come out next March, conveniently a week before my birthday (hint hint!). (10) The Skinnytaste Cookbook: Light on Calories, Big on Flavor – Okay, if you’ve made it this far into the gift guide you’re probably craving something a little healthier. Gina from Skinnytaste has found ways to make your favorite indulgent dishes in a lighter, healthier, but still delicious way. I’ve been a longtime follower of her blog, and she converts her nutrition information to whatever diet or lifestyle you may be following, whether it’s Paleo, Weight Watchers, Keto, Low Carb, Gluten Free or even just if you’re in need of something healthy and kid-friendly. Her Zucchini Lasagna recipe, Skinny Chicken Enchiladas and Chicken Pot Pie Soup are some of my favorites. I bought my sister-in-law her most recent book Skinnytaste Fast and Slow: Knockout Quick-Fix and Slow Cooker Recipes and we both LOVE making her recipe for Roasted Brussel Bowls with Spicy Sausage. (11) Thug Kitchen: The Official Cookbook: Eat Like You Give a F*ck – My only regret about this cookbook is that I wish I had written it myself. My brother got this for me one Christmas, and I have become a dedicated fan to the hilarious and raunchy stylings of Thug Kitchen ever since. I could probably gift this to anyone who is friends with me, because no one I’m friends with would be offended by the language in this book. Definitely not something you’d gift your grandma or young kids, this is an adults only cookbook. If you use the F word as an adjective to describe things in a positive way, you’ll find this book hilarious. And the recipes are actually great too. If you need to preview it before purchasing, read this recipe for a Watermelon Cucumber Slushie and you’ll quickly know whether or not this book is for you. They have released two other cookbooks (that I have): Thug Kitchen Party Grub: For Social Motherf*ckers and Thug Kitchen 101: Fast as F*ck. 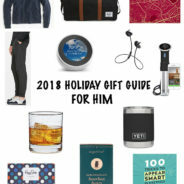 So hopefully out of those book options you’re able to check a few more people off your gift list … or even just put a few on your list for yourself. I also did not realize how many of these books were written by fellow food bloggers, so maybe my 2018 resolution should be to get The Salted Cookie cookbook in the works.